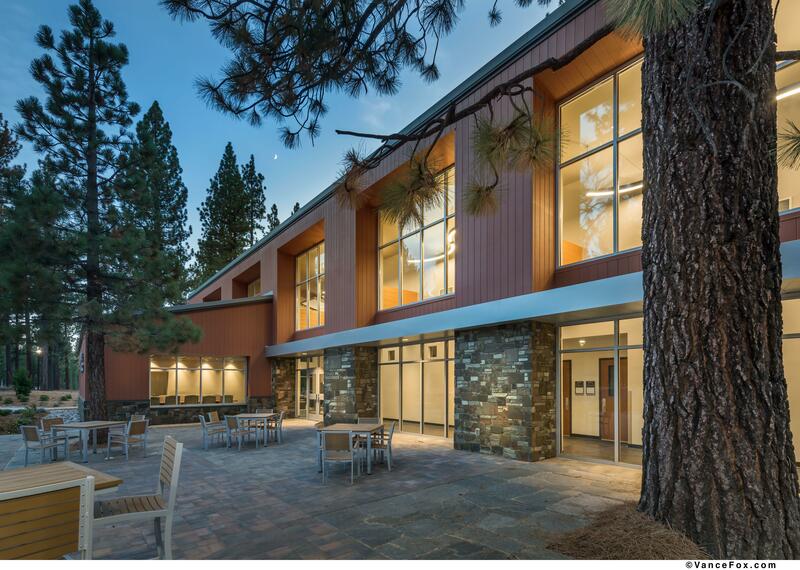 The Lisa Maloff University Center at Lake Tahoe Community College offers a higher level of comfort and technology for advanced education, meetings, and special events on Lake Tahoe’s South Shore. Designed as the hub for access to higher education, the University Center provides the most modern and effective instructional, multimedia, and telecommunications equipment available to engage students with. Learn more about the degrees and certificates that are currently available through our University Partners. This innovative facility is also available for organizations and businesses looking for an impressive space to host their meetings in. 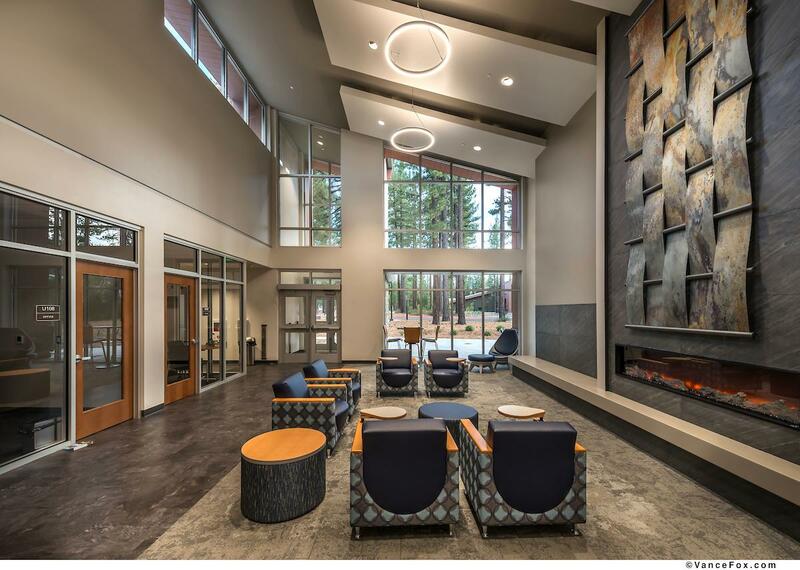 The design of the University Center weaves mountain modern elements and upscale touches with abundant natural light to create bright and airy spaces. 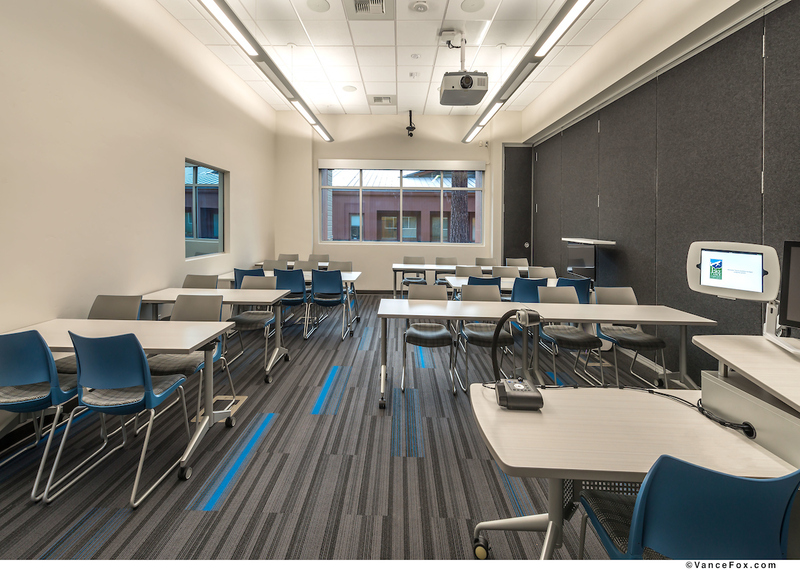 The 7,000-square-foot space includes four flexible rooms that are fully equipped with the latest technology, including interactive displays, laser projectors, and motion sensing cameras. 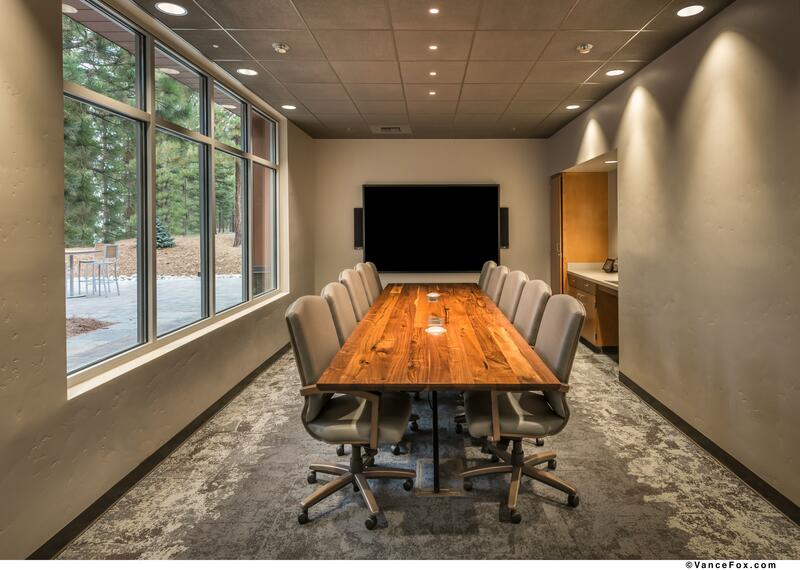 The building also has a fully integrated executive conference room and an outdoor courtyard that can serve as a hosting area for special events. 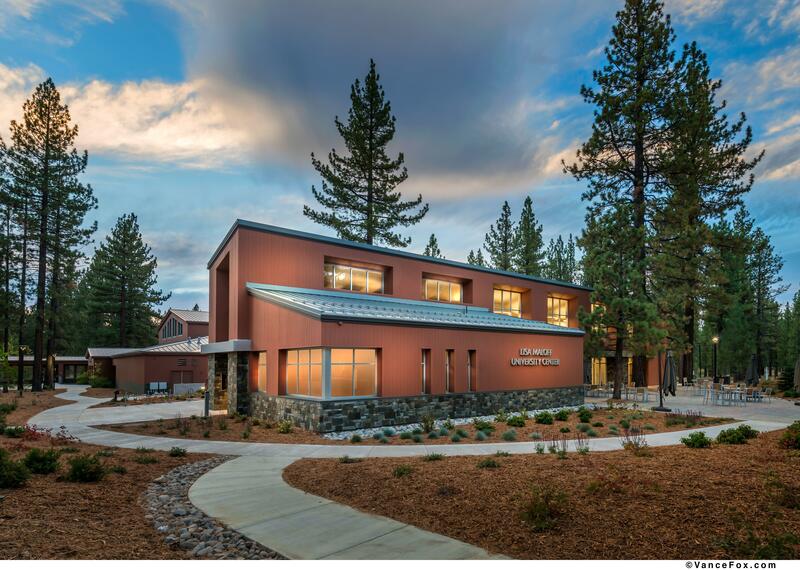 A lot of thought went into every element of the Lisa Maloff University Center, including its impact on our sensitive Lake Tahoe environment. That's why it was important for us to create a building that is functional, eye-catching, and operationally clean. 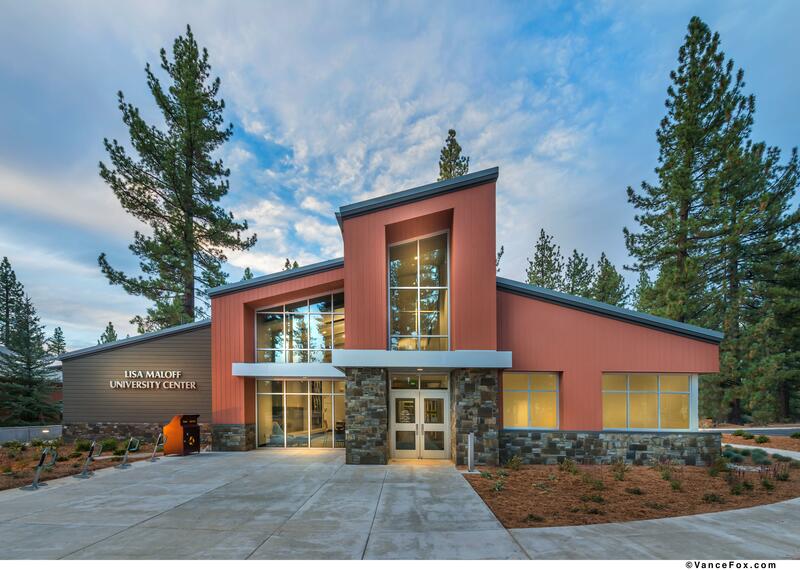 The building uses state-of-the-art conservation construction to maximize energy efficiency, water conservation, indoor air quality standards, and sustainable building materials.